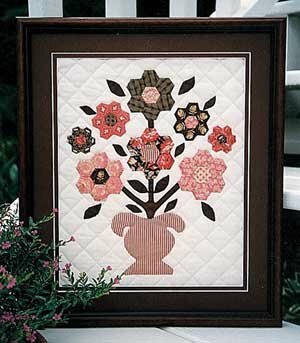 The Hexagon Bouquet quilt is made with three sizes of hexagons to form the flowers. The vase, leaves and stems are appliqued. I have provided paper hexagons to sew on for the English piecing method. This kit is a Beginner to Intermediate level.